We’ve teamed up with Headup Games, our latest AppAdvice Daily podcast sponsor, in order to offer you a chance to win a $10 iTunes gift card. All we ask is that you take Slot Raiders for a spin, the developer’s free-to-play slot machine game for iPhone and iPad, and let us know what you think. 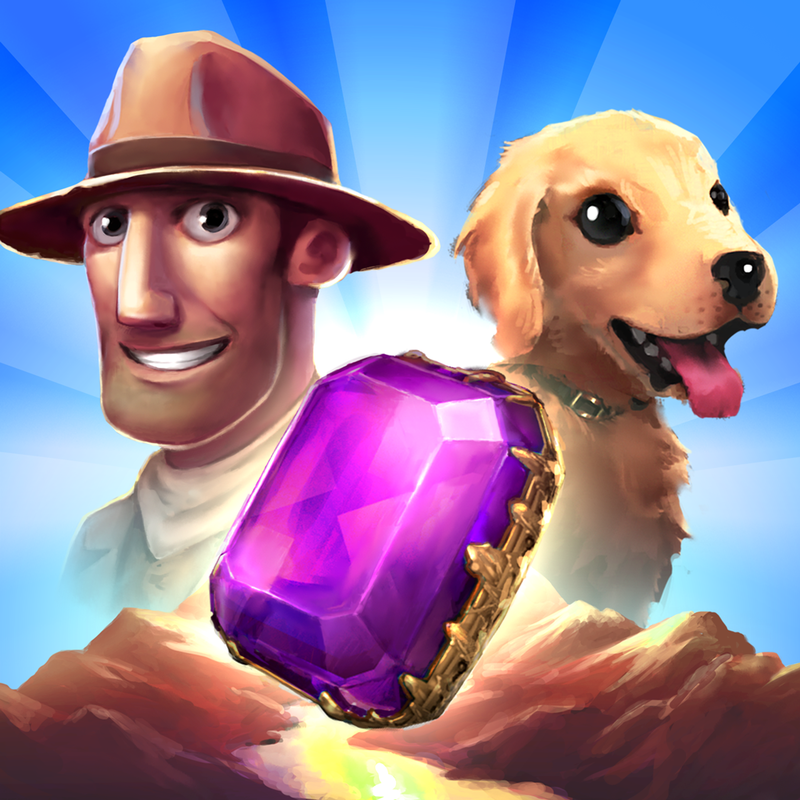 Go on the hunt for precious metals and legendary treasures by spinning the reels in Slot Raiders. 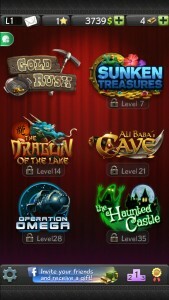 At the beginning of the game you’re provided with a limited bankroll that allows you to start hunting for treasure. Each spin of the reel will cost you, but that’s a risk you’ll have to take to become the world’s most decorated treasure hunter. Everything from cold hard cash and artifacts to vicious creatures and totally useless items will appear. You can grab the good stuff from the reels with a tap and toss away everything you don’t want with a swipe. Create combos to earn double payouts, and make sure to come back every day for a bonus reward. 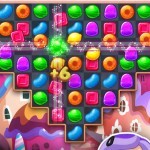 Different challenges and quests are available in order to earn even more unique treasures. 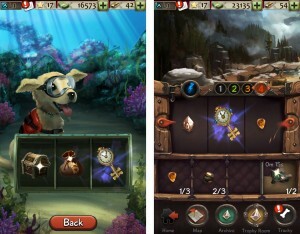 Your trusty pet Tracky will even go on the hunt for bonus treasures while you’re away. All of your discoveries are archived automatically, and you can use them to unlock new settings and upgrades. The game has six beautiful themes to choose from, each with their own cast of unique characters and storyline, but only one is unlocked from the start. 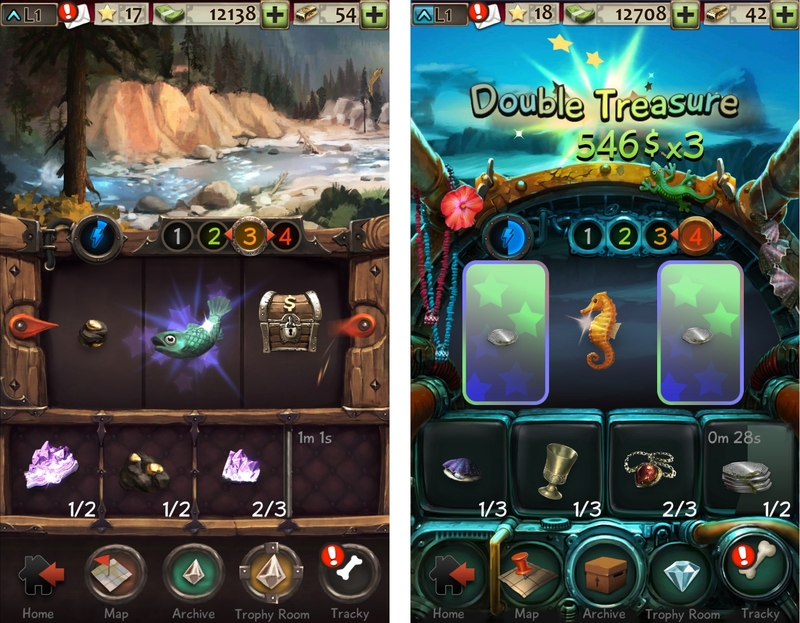 You’ll have to achieve higher and higher levels by unearthing treasures and building up your bankroll in order to unlock them all. By tweeting the message above you’ll earn one entry into our giveaway. 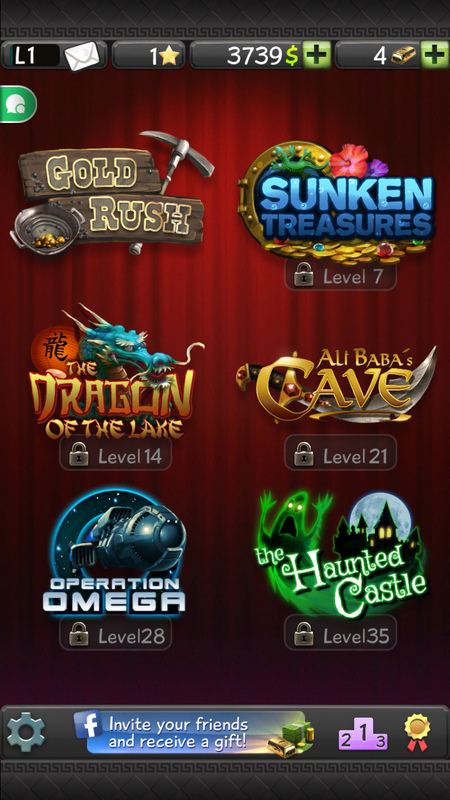 You can earn an additional entry by leaving a comment below telling us what you think of Slot Raiders. Please keep in mind that the iTunes gift cards can only be redeemed via U.S. iTunes Store accounts. All entries must be received before March 14 at 11:59 p.m. PDT.